Playzee are one of the newest online casino’s at the minute. But don’t let that put you off, Playzee Casino was created by a group of experienced online casino people. Owned by White Hat Gaming Limited Casinos they might be a new player but they are an old hand at online casinos. The mascot is a crazy chemist by the name of Zeegmund, and Playzee is his experimental laboratory. Playzee is already getting a name for amazing promotions that change frequently. The welcome offer is bound to lure you in and with over 1000 games from over 50 different software providers. There is literally something for everyone. Like we mentioned they are a new online casino but with such an experienced team behind them it won’t be long before they become not only an established and well-known online casino but a house-hold name at that. WELCOME BONUS: 100% UP TO €/$300 + 100 ZEE SPINS ON STARBURST + 500 ZEE POINTS. This is obviously valid for new customers only. Valid for 15 days after your first deposit. The minimum deposit is €/$20. The maximum bonus bet is €/$5. Zee spins are added to your account at a rate of 10 zee spins per day for 10 days. Zee spins valid for 24 hours. Winnings are capped at €/$50 and are credited as bonus funds. Which are subjected to wagering requirements of 35X. As with all welcome offers and promotions the terms and conditions are worth a read, here. Maximum daily redemption value to 10,000 points which is the equivalent to €/$50 bonus. All bonus money won must be wagered 35X on real money games. Cash money that was derived from wagered bonuses is not part of the cash back calculation. Only deposited cash will be added to the calculation. The calculation of the bonus back will be done on the aggregate result of the promotion period and not on the per spin / per session basis. Once credited to your account, the bonus funds must be used within 72 hours. There are a fair number of terms and conditions for these promotions, which you read here. To redeem your points go to Zeegmund within the cashier, he’ll give you a €/$5 bonus for every 1,000 points you accumulate. Terms and conditions apply on this, which can be read here. It’s worth noting here that Sunday is Zee Club day: Zeegmund gets experimental with bonus offers. Simply check and see if there’s a bonus waiting to be claimed in your account. If not head to live chat and chat with the support team. Tell them Zeegmund sent you. Playzee have all the usual channels for depositing and withdrawing. Including Skrill, Neteller, paysafecard, Visa, Mastercard, entropay, Sofort Banking, Trustly, Paypal, Bank Transfer and boku. Their website states that they process all verified withdrawals within 48 hours and the minimum withdrawal amount is €/$10 (depending on the withdrawal method). Have we mentioned that Playzee have over 1000 different games to choose from? Have we also mentioned that they have over 50 different software providers? Both of those facts are actual. Their list of software providers is staggering and includes all the big names like Microgaming, Play’n GO, NetEnt and Evolution Gaming. They have a game to suit everyone, every mood and every budget. The website is super easy to navigate allowing you to search via the game type, game developer, game name, and you can even filter the search by new or ‘top’ games. They have a focus on slots bringing you slots based on Hollywood Movies, TV Shows, Sports-based and classic slots. The range is too large to put down here but rest assured it has something for everyone. They have a great selection of jackpot slots as well. With winnings often over €/$1 million. Their table games selection isn’t as large as we’ve seen elsewhere, but they do have a good selection of tables available and there is something to suit everyone here, keep in mind that they do have a menu option for just video poker, where you will find more options to satisfy most online punters. Again they have a relatively small selection of Live Dealer Games, however they do this well. There are the usual suspects; Baccarat, Blackjack, Roulette, Poker, Texas Hold ’em, Dragon Tiger and a decent number of VIP Tables if you’re feeling super lucky. They have enough to warrant having a peak into their live dealer lobby. Playzee’s mobile platform is as uncluttered and easy to navigate as their PC website. It’s clean and concise to use, the menus are easy to find and even easier to use. With the mobile platform you have access to everything that you would find on the PC website. Including deposits, promotions and the live chat support. 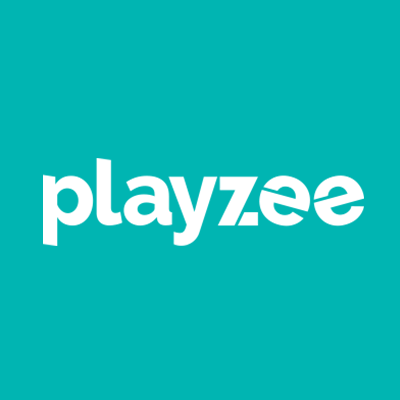 Playzee have really outdone themselves here, having only launched in 2018 they show an understanding of their clients and their customers need to have on-the-go gaming. Playzee hold licenses with the UK Gambling Commission, the Malta Gaming Authority and the Swedish Gaming Authority. They have a high level of SSL encryption and firewall services. They offer the ability to set deposit limits, game time reminders, account closures, time-outs, self-exclusion and you can see your entire account history. There are also links to gambling hot-lines and Playzee donate every year to BeGambleAware. Playzee’s customer support is open 24/7 and offer two ways of contacting them. live chat: available on each page of their website including the landing page. Their support team is professional, friendly and knowledgeable. Playzee also offer a comprehensive FAQ page which is worth a look before you contact the support team. Playzee have a social media presence on both Twitter and Facebook. Customers can contact the support team via these two platforms as well. Playzee is a newcomer to the world of online casino’s however do not let this put you off. They are owned by one of the industry leaders and their core group of developers have a wealth of experience behind them. They are innovative and the website is top-notch. It’s a breeze navigating the menus and both the website and the mobile app are user-friendly. They have the largest pool of software developers that we have come across and this shows that there is faith in Playzee. They might have only launched in 2018, but already they have shaken up the industry and we can’t imagine it will be too long before they become a house-hold name in the world of online casinos.